Not until the tournament reaches is its climax will we know whether tonight genuinely was a seminal moment in Ivorian football. 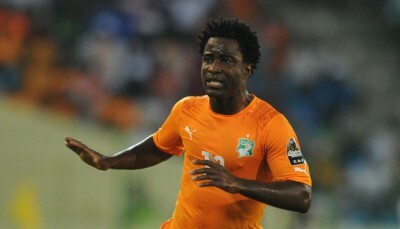 However, there is little doubt that Ivory Coast’s triumph over Algeria witnessed Wilfried Bony’s coming of age. For several years in the shadow of the iconic Didier Drogba, Bony has been forced to wait to assume the position of attacking focal point in the Elephants. armoury. Stepping into such unmeasurable shoes was always likely to prove an arduous task, and whilst there were signs of the guard changing in Brazil, Bony was a mere peripheral figure to the 2015 AFCON group stages. In Malabo, however, the new Manchester City recruit strode out of Drogba’s lingering shadows with devastating effect, silencing those who up to this point had been critical of the £28 million man’s impact in Equatorial Guinea in the process. In reality, it wasn’t until tonight that Bony has received genuine service. First Max Gradel’s delicious cross was thumped in by Bony to propel the Elephants infront, before, against the run of play, the striker rose highest in similar fashion to power home the winner from the much maligned Yaya Toure’s cross. Algeria are no mugs aerially, yet Madjid Bougherra and co. simply had no answer to Bony’s power. In what was a heavyweight clash dictated by small margins, there is little denying that Bony’s proficiency infront of goal was the deciding factor in Ivory Coast prospering and Algeria being resigned to the exit door. It is clear that Bony has finally arrived to the AFCON party and that can only spell trouble for those nations still standing. The resilient triumph over Algeria suggested that Herve Renard has unearthed previously-missing strength of character within the Ivorian ranks, whilst further in the Elephants favour is that in a fully functioning Bony they boast an unrivalled weapon. With that in mind, there is scope that just maybe Bony will taste victory in the one tournament that cruelly alluded his heroic predecessor.